“I am God. And you too are God. The only difference between you and Me is that while I am aware of it, you are completely unaware.” This is the answer Bhagawan Sri Sathya Sai Baba gives to people who query Him about His identity and divinity. This fundamental truth of man’s divine nature is at the heart of His message and mission. Indeed, in His discourses to devotees, He addresses them as “Embodiments of the Divine Atma”. All who experience His pure and selfless love, and benefit from His illuminating counsel, and witness His miraculous nature get a glimpse of the glory and majesty of God, and therefore of what one potentially and inherently is. Sri Sathya Sai Baba was born as Sathyanarayana Raju on November 23, 1926 in the village of Puttaparthi, in the state of Andhra Pradesh in South India. Even as a child, His spiritual inclination and contemplative nature set Him apart from other children of His age, and He was known as ‘Guru’ and “Brahmajnani’ (knower of Brahman or Godhead) among His peers and others in the village. However, it was not until October 20, 1940, the day He made the historic declaration of His Avatarhood, (Avatar – Divinity Incarnate) that the world at large learnt of this divine phenomenon. Today, millions of devotees from all over the world, professing various faiths, and hailing from various walks of life worship Him as an ‘Avatar’, and an incarnation of the Sai Baba of Shirdi. Thousands gather every day at Prasanthi Nilayam, His ashram established beside the village of Puttaparthi, for His Darshan, when He moves among devotees blessing them and providing spiritual succour and solace. Bhagawan Sri Sathya Sai Baba is an integral manifestation who combines two very significant roles. Firstly, He is a great spiritual Master, famed for His simple and sweet exposition of the greatest and most intricate of spiritual truths which form the fundamental teachings of all the religions of the world. 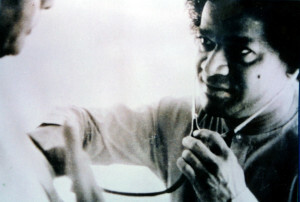 Elucidating on His mission, Bhagawan declares “I have come not to disturb or destroy any faith, but to confirm each in his own faith, so that the Christian becomes a better Christian, the Muslim a better Muslim and the Hindu a better Hindu.” His formula for man to lead a meaningful life is the five-fold path of Sathya (Truth), Dharma (Righteousness), Shanthi (Peace), Prema (Love) and Ahimsa (Non-Violence). Love for God, fear of sin and morality in society – these are His prescriptions for our ailing world. Secondly, He is an inexhaustible reservoir of pure love. His numerous service projects, be it free hospitals, free schools and colleges, free drinking water supply or free housing projects, all stand testimony to His selfless love and compassion for the needy and less privileged. 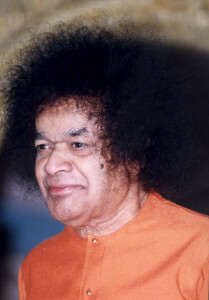 True to His declaration – “My Life is My Message”, He has inspired and continues to inspire millions of His devotees worldwide by His personal example to live the ideal that service to man is service to God. 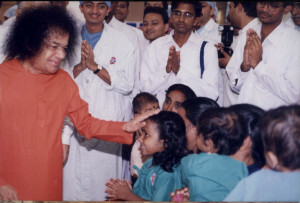 The Sri Sathya Sai Organization today has a presence in over 167 countries in the world and members undertake group service activities that benefit their immediate community. Bhagawan Sri Sathya Sai Baba is thus a beacon of hope in a world that is desperately seeking an end to the unrest and sorrow prevalent today. His message of “Brotherhood of Man and the Fatherhood of God” is a spiritual salve that will lead mankind from the darkness of ignorance to the light of immortality. Indeed, very rarely does such a divine power walk the earth. As one devotee said, “Bhagawan Baba is nothing but Love walking on two feet”. Mankind must use this golden opportunity to follow in His footsteps. That is the way to its redemption and its salvation. What is happening in the hospital is not for today or tomorrow. This establishment will serve the poor forever. Some may have a mistaken notion that it will only be a temporary one. All the institutions established by Sai are eternal. They are an example to the whole world. July 1992. Come and see it for yourself the work that is being done here with the spirit of sacrifice, and experience bliss. Here you will find the poor with happiness and joy on their faces. January 19, 2001. This is the only hospital where you can see patients, doctors, nurses, technicians and paramedical staff with smiling faces. February 6, 1993. 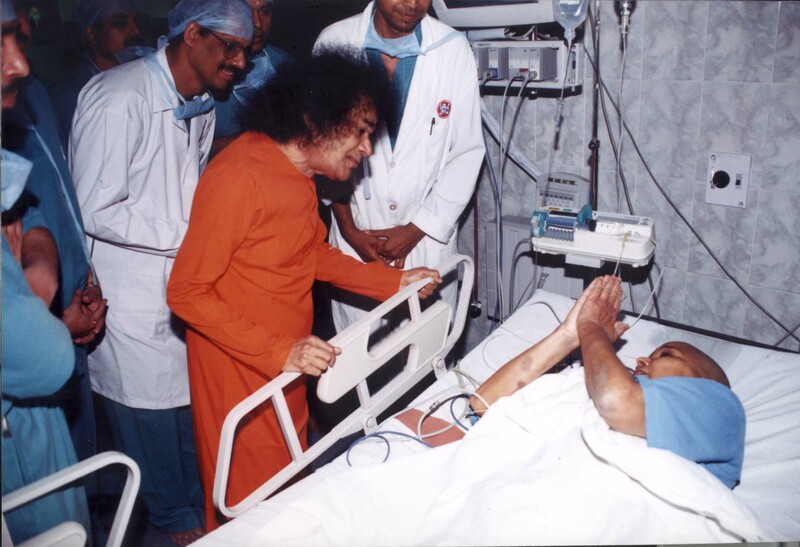 Doctors wonder how all diseases are cured in our Sathya Sai Hospital. The answer is: if any action is done with a pure heart and good intentions, it is bound to be successful. February 7, 1993. Doctors are like the fragrant flowers and Bhagavan is the invisible thread which binds them together into a beautiful garland. Jan 23, 1994. More than the drugs doctors prescribe, the sweet, soft words they speak, the love and sympathy they evince can cure the illnesses of their patients better and quicker. August 28, 1976. Have a smiling face when examining your patients; talk to them sweetly. Checking the pulse with a grim face your patient may even collapse fearing the worst! February 6, 1993. Look upon patients as your own kith and kin, as your special guests and as your closest friends and attend to them lovingly and with unflinching unwavering?care. January 21, 1994. Remember the patient has to co-operate in their treatment so as to be cured.The patient’s recovery brings you satisfaction, joy and a sense of elation. Be grateful to the patient for all this. August 28, 1976. Doctors should feel a deep sense of gratitude towards society for all they have received; only then will they correctly employ their knowledge and skills. February 7, 1993. Treat Duty as God and Work as Worship. If you carry on your work in this spirit, the world will be a happier place for all. February 7, 1993. A doctor should reflect the triple qualities of sacrifice, love and compassion in treating his patients. January 21, 1994. A “good doctor” in due course becomes a “God doctor.” “Vaidhyo Naaraayano harih,” it is said. The doctor is Divinity itself. Doctors should render service in this spirit. June 1995. One with commercial outlook is not a doctor at all. In fact, he is a patient himself! The spirit of sacrifice is the hallmark of a true doctor. July 5, 2003. The patients’ welfare must be your topmost priority. Serve them with dedication. There is no service higher than this. July 5, 2003. 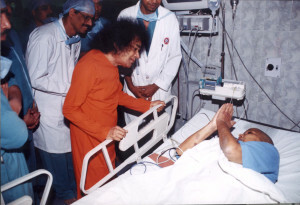 If you aspire for the health and happiness of Swami, look after the patients well. July 5, 2003. Moderation in food, moderation in talk, and in desires and pursuits; contentment in what can be got by honest labour, eagerness to serve others and impart joy to all – these are the most powerful of all tonics…… September 21, 1960. Bear calumny, loss, disappointment, defeat, boldly and with equanimity; then no mental depression can overwhelm you. Sept 23, 1965. Regular prayers twice a day will give strength and courage, which can withstand illness. October 12, 1969. Feel that you are a hundred per cent dependent on God; He will look after you and save you from harm and injury October 12, 1969. Fast one day in the week is good for the body as well as for the country. October 12, 1969. It is not a sign of culture to overvalue the body, by over indulging in its whims. It is a sign of barbarism. October 12, 1969. Through dieting alone, birds and beasts set their health allright! But, man lives on tablets and pills and injections, after venturing into forbidden realm, so far as eating and drinking are concerned. October 12, 1969. If everyone decides to carry on all personal services themselves, rather than depend on servants or helpers, the health situation will definitely improve and hospitals will have much less work. . October 12, 1969. Contentment is the best tonic; why inflict on yourself the disease of greed and consume tonics to get strength, and to hanker further? . October 12, 1969. A sense of elation and exxcultation keeps the body free from ill health. Evil habits in which man indulges are the chief cause of disease, physical as well as mental. July 13, 1980. Fats consumed in large quantity are detrimental not only to one’s physical health but also to one’s mental health. January 21, 1994. Modern man is continuously in a hurry. Hurry causes worry which affects the physical health. The main cause of heart troubles may be said to be hurry, worry and curry. Curry means fatty foods. February 6, 1993. There will be little room for cardiac ailments if one’s food habits are properly controlled and regulated. January 21, 1994. Birds and beasts lead natural lives, while the artificial life styles of man today takes a heavy toll on his health. January 21, 1994. Since mental tension is most detrimental to man’s health, man should learn the art of controlling his passions and emotions January 21, 1994. Every person’s physical, mental and spiritual health is ruined by bad qualities, bad thoughts and bad feelings. Hence cultivate good thoughts, good feelings & good attituders. Expel every bad thought as it arises in the mind. July 11, 1995. Man suffers from two types of ills, physical and mental; the one caused by the dis-equilibrium of the three tempers of Vaatha, Pittha and Sleshma (wind, bile and phlegm) and the other caused by the dis-equilibrium of the three Gunas: Sathwa, Rajas and Thamas (qualities of serenity, passion and inertia). One peculiar fact about these two types of illnesses is that the cultivation of virtue cures both. September, 1959. The body has to be carefully and tenderly fostered; it is a precious gift, a very complicated but well co-ordinated machine, given for achieving a laudable task. Oct 16, 1974. Activity must be dedicated to God, the repository of the Highest Good. Then, it will provide health for the body and mind. October 12, 1969 Prasanthi Nilayam. The skin of the fruit of ananda (Divine bliss) is the physical body; the succulent flesh is the muscle, bone and nerve; the hard uneatable seed is the evil that gets mixed up in life; the juice which the fruit offers, for which the tree was planted and nourished is the Bliss it shares with all. Oct 16, 1974. Health is necessary for gaining this world and the next, for earning worldly progress, to realise the very purpose for which the self has embodied itself in this human form, namely to become aware of its source, Paramatma. In order to attain this goal the ideals of righteousness, prosperity, moral desire and release from grief have to be practised with the help of a sound mind in a sound body. Sept 30, 1981. The head and the heart are important organs for man. The head is preoccupied with mundane phenomena, with external objects. The heart looks within. The path of external focus is termed Pravritthi Marga. All of man’s activity today, including the acquisition of knowledge and wealth, is along the Pravriti Marga which is involved with the six vices of Kama (lust), Krodha (anger), Moha (infatuation), Lobha (greed), Madha (pride) and Mathsarya (jealousy) which undergo constant changes. Because the body is associated with these qualities, it is also subject to change.But the heart which is associated Nivritthi Marga (the Inward path) remains unchanging. Truth, com­passion, love, forbearance, sympathy and sacrifice emanate from the heart. So, in human life, the head and the heart play crucial roles. These two are kept in balance by the hand. Thus, the heart, the head and the hand are the three H’s which are important in understanding the human predicament. February 7, 1993. There should be a harmonious blend of religion, philosophy and art for man to live healthily in the world. In this context religion means the religion of love. February 6, 1993. The mind exercises supreme influence not only over the health of the body but on the universe too. Man is not merely a human being, he is the embodiment of Divinity. Jan 23, 1994. It is only when the body, the mind and the Spirit are in harmony that peace will prevail. Medical science should recognise the role of the mind in causing sickness. February 6, 1993.